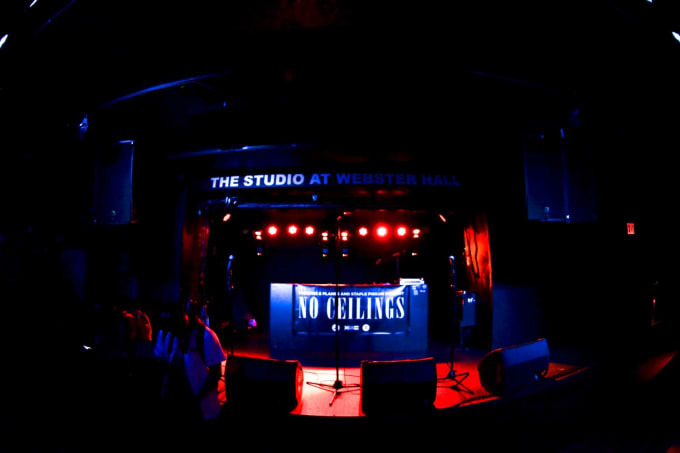 Our last No Ceilings showcases were in Austin and London, but the event started in New York City, and that will always be the home base. There’s something special about a New York City show—it’s a tough audience to please, but when it goes well, the energy is electric. On Wednesday night, we took over the Studio at Webster Hall with a lineup featuring four up-and-comers who highlight the eclectic range of current hip-hop: Innanet James, Anik Khan, Kweku Collins, and Tate Kobang. They all handled the New York stage differently, but they each won over the crowd and put on an amazing show. Thanks to everyone for coming out and showing love, Staple Pigeon and Move Forward Music for making this show possible, and all the artists for making it a special night.